Bruce Lee audio launch shortly This Gandhi Jayanthi is going to be special for Mega fans. They are going to have a double bonanza on this October, 2nd. It is well known that Varuntej’s 'Kanche' will hit the screens worldwide on 2nd of October. Now as per latest news, the audio of Ram Charan’s 'Bruce Lee' will be also launched on the same day and it will be a big feast for mega fans. 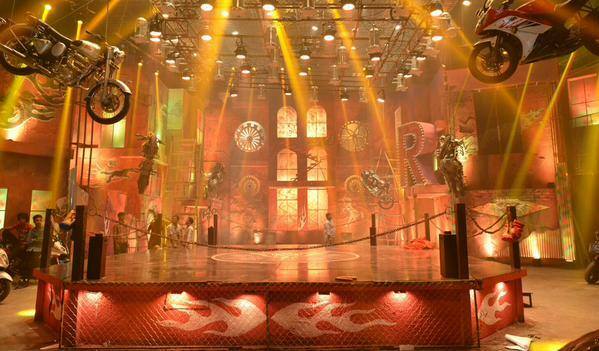 The audio launch of 'Bruce Lee' will be held in a grand manner. However the venue is not yet finalized. Chiranjeevi is doing special role in the film whch stars Arun Vijay, Brahmanandam, Kriti Karbanda, Naga Babu, Nadia, Tanikella Bharani, Mukesh Rishi, Rao Ramesh, Shayaji Shinde, Posani, Brahmaji in key roles.